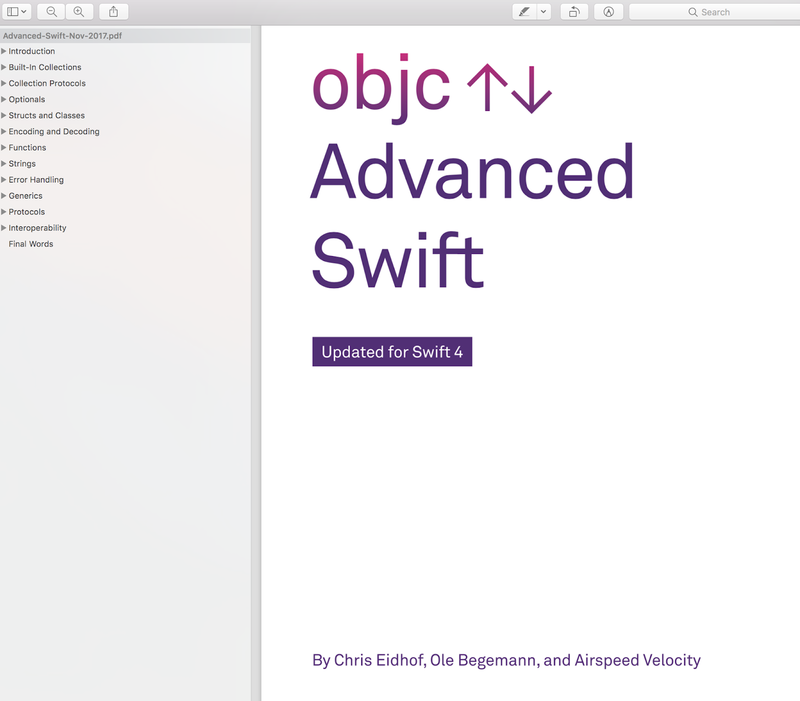 Recently I bought a set of 5 IOS books from Objct.io include Advanced Swift book And now I want to transfer it to you for $ 30, payment via Paypal. 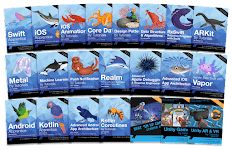 All books are the latest version that supports swift 4 and IOS 11, have PDF, EPUB file and full source code. When we began writing the first edition of this book, Swift was barely a year old. We did so before the beta of 2.0 was released — albeit tentatively, because we suspected the language would continue to evolve as it entered its second year. Few languages — perhaps no other language — have been adopted so rapidly by so many developers. But that left people with unanswered questions. How do you write “idiomatic” Swift? Is there a correct way to do certain things? The standard library provided some clues, but even that has changed over time, dropping some conventions and adopting others. Over the past three years, Swift has evolved at a high pace, and it has become clearer what idiomatic Swift is. To someone coming from another language, Swift can resemble everything you like about your language of choice. Low-level bit twiddling can look very similar to (and can be as performant as) C, but without many of the undefined behavior gotchas. The lightweight trailing closure syntax of map or 􏰁lter will be familiar to Rubyists. Swift generics are similar to C++ templates, but with type constraints to ensure generic functions are correct at the time of definition rather than at the time of use. The flexibility of higher-order functions and operator overloading means you can write code that’s similar in style to Haskell or F#. And the @objc and dynamic keywords allow you to use selectors and runtime dynamism in ways you would in Objective-C. But then comes the frustration. Why can’t we use protocol extensions with associated types like interfaces in Java? Why are arrays not covariant in the way we expect? Why can’t we write “functor?” Sometimes the answer is because the part of Swift in question isn’t yet implemented. But more often, it’s either because there’s a different Swift-like way to do what you want to do, or because the Swift feature you thought was like the equivalent in some other language is not quite what you think. improve your code’s performance, to make it more elegant or expressive, or just to get certain things done. This book targets experienced (though not necessarily expert) programmers — such as existing Apple-platform developers, or those coming from other languages such as Java or C++ — who want to bring their knowledge of Swift to the same level as that of Objective-C or some other language. It’s also suitable for new programmers who started on Swift, have grown familiar with the basics, and are looking to take things to the next level. The book isn’t meant to be an introduction to Swift; it assumes you’re familiar with the syntax and structure of the language. If you want some good, compact coverage of the basics of Swift, the best source is the official Apple Swift book (available on iBooks or on Apple’s website). If you’re already a confident programmer, you could try reading our book and the Apple Swift book in parallel. This is also not a book about programming for macOS or iOS devices. Of course, since Swift is currently mainly used on Apple platforms, we’ve tried to include examples of practical use, but we hope this book will be useful for non-Apple-platform programmers as well. The vast majority of the examples in the book should run unchanged on other operating systems. The ones that don’t are either fundamentally tied to Apple’s platforms (because they use iOS frameworks or rely on the Objective-C runtime) or only require minimal changes, such as replacing the BSD-specific function we use to generate random numbers with a Linux equivalent.